Ryan McCord – the former Alloa midfielder has a goal & an assist in the first four matches & has proven to be quality addition for Raith. 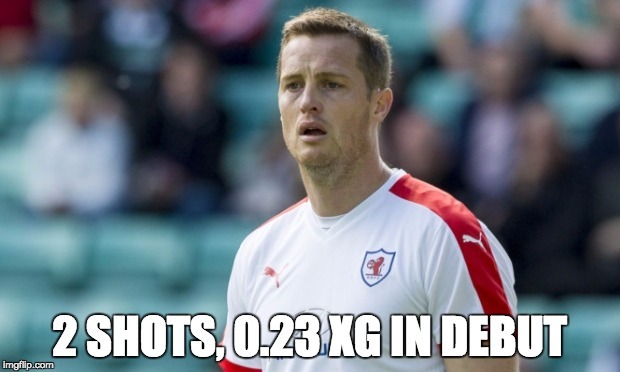 He more than held his own last year against Rangers, often outperforming Nicky Law in key moments. 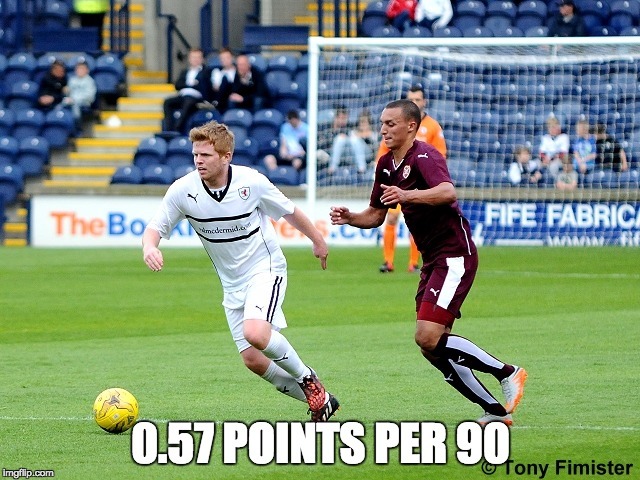 Mark Stewart – the 27 year old is Raith’s leading goal scorer this season, despite only having three shots in four games. Two of his shots have been on target, both have been goals. Jon Daly – it will be interesting to see the reception Daly gets in his first match back at Ibrox. 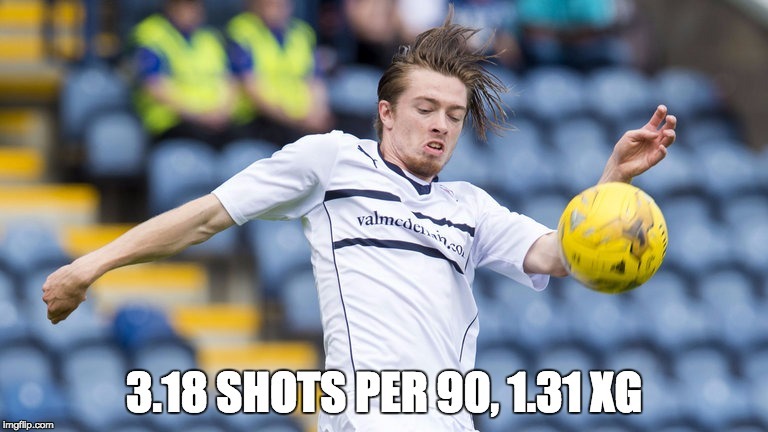 Craig Wighton – the 18 year old will indeed be missed by Raith Rovers on Saturday. 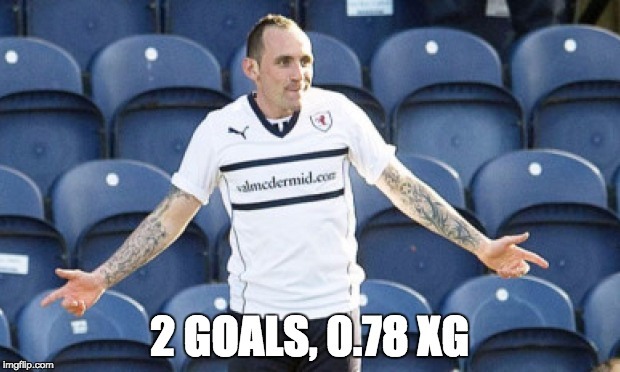 The talented striker, who is on loan from Dundee, has accounted for 26% of all of Raith’s shots this season & has scored 0.32 goals per 90 minutes. 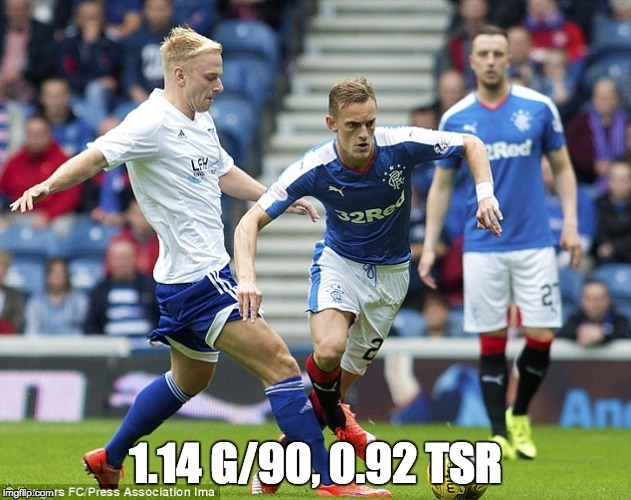 Dean Shiels – has only played 79 minutes in his three appearances, but all the stats indicate that Shiels has had a real, positive impact while on the pitch. 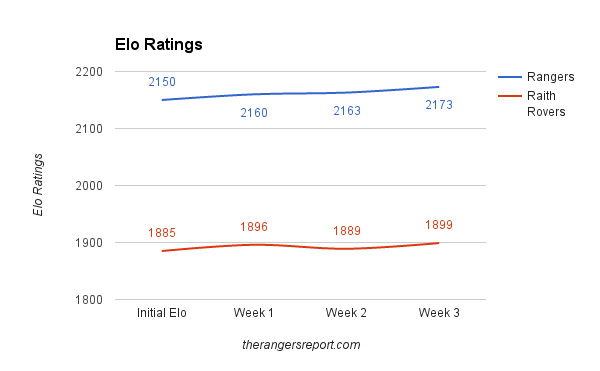 Even though this number is skewed by when his minutes have occurred, usually with Rangers playing with a lead, Rangers have outshot the opponents 22-2 when Shiels is in the game (0.92 TSR).